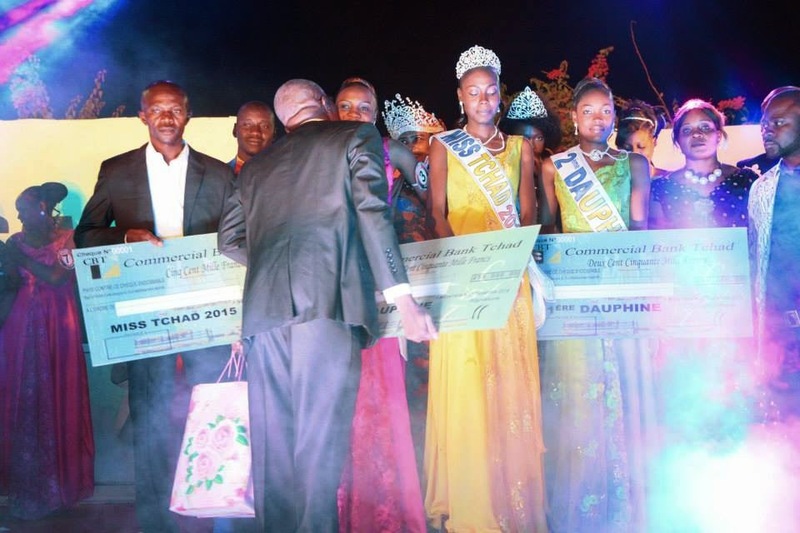 N'DJAMENA, Chad - Élyse Dagossé (22) was crowned Miss Tchad 2015 at the Kempinski Hotel in N'Djamena on December 27. She will represent Chad in Miss World 2015. Zakia Mahamat Golo was the first runner-up and Marina Gondjé was the second runner-up. Nale Boniface (21) will represent Tanzania in Miss Universe 2014 in Miami, Florida on January 25, 2015 after the original winner, Carolyn Bernard, resigned due to health reasons. 21 years ago I saw my first beauty pageant. I was a child back then and, curiously, it was not Miss World. It was Miss Universe 1993. That year a fellow Puerto Rican won and because of that moment my interest in beauty pageants began. I watched Miss Universe regularly every single year. I grew up watching it. It’s almost part of the Puerto Rican culture. Back then, Miss World was an unknown pageant for me. That changed in 1998 when I saw my very first Miss World pageant. I still remember it vividly. It was the year of that magnificent “floating” stage in the Seychelles. Since 1998, I’ve watched both Miss Universe and Miss World but for some reason I always preferred Miss Universe. However, that changed in 2002. In 2002, my loyalties began to shift. They began to shift because as I grew up I was simply looking for things with a purpose, a deeper meaning. I found that in Miss World. 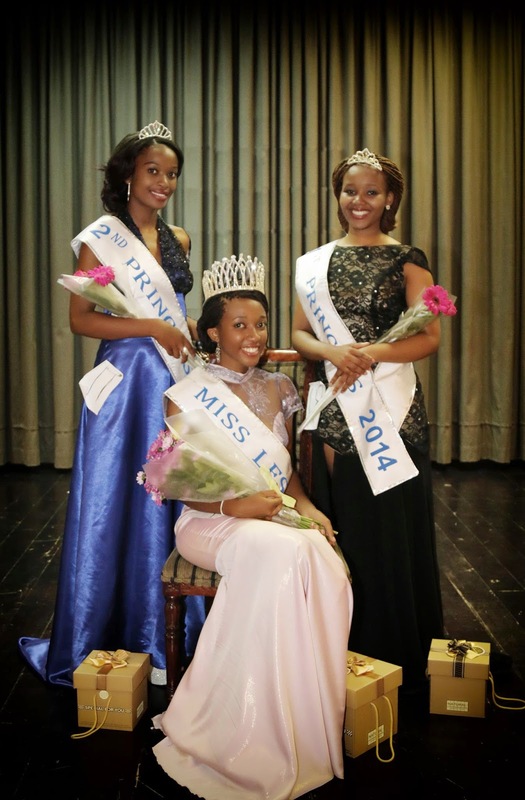 A pageant with a well established purpose and that actively works for that purpose every single year. Miss World has grown to become the pageant of superlatives. 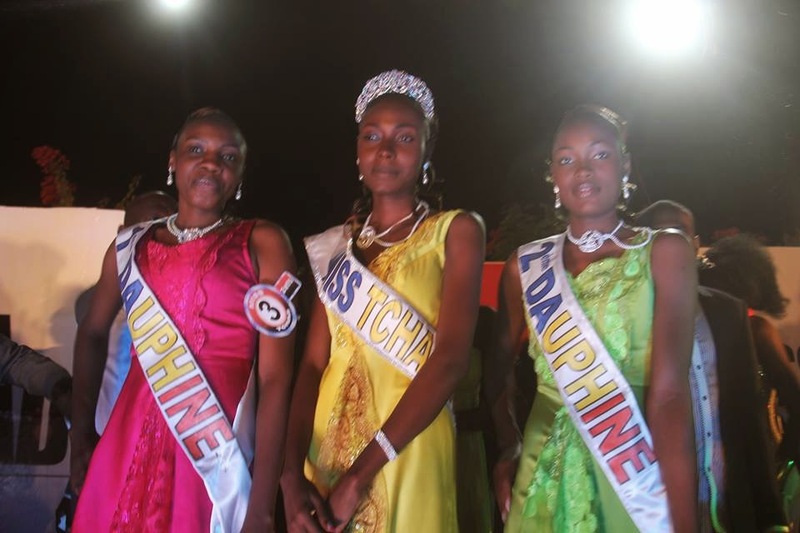 It is the oldest international beauty pageant. 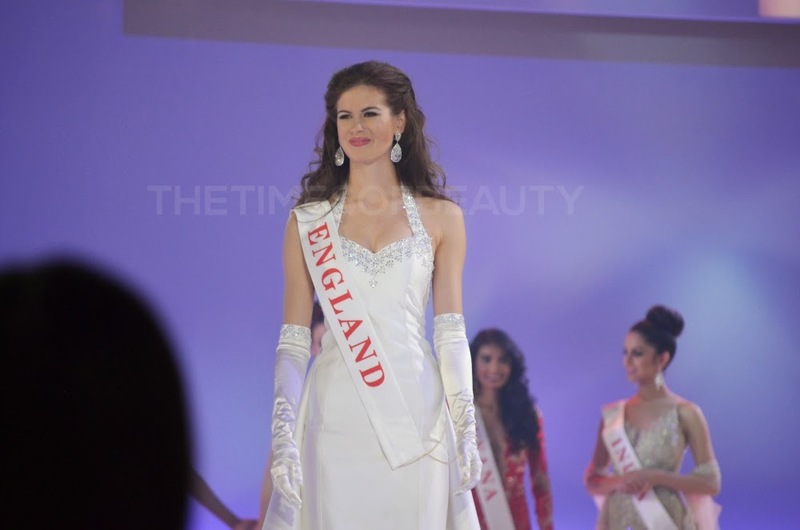 It is the most attended beauty pageant on the planet with over 120+ franchised nations. It is the most viewed with millions watching around the world each year. Add to that, the simple fact that it is the best and the most prestigious beauty pageant on the planet. As years went by, my love for Miss World grew. That led to the creation of The Times of Beauty back in 2008. When I opened this website, my focus was Miss World and seven years later Miss World is still the focus and always will be. I had previously only watched beauty pageants on television. However, that changed this year when I got the chance to attend my very first Miss World final and watch it live with a multicultural audience. It was a thrilling experience and certainly unforgettable. 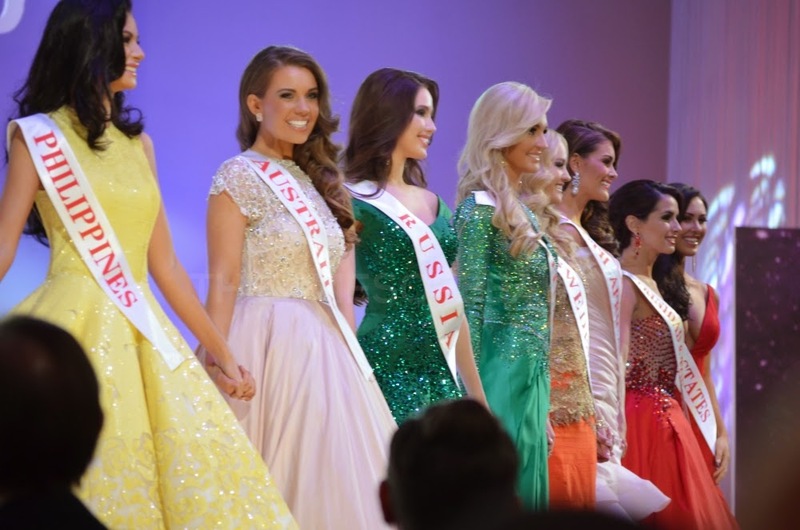 This year, 121 nations competed which is the second highest turnout in the history of the pageant. Two African nations debuted. The island nation of São Tomé and Príncipe send their first representative and so did Chad. As part of my Miss World experience, I had the honor of attending the dress rehearsal, the final show and the coronation ball. This review is based on my experience as an audience member at the venue. 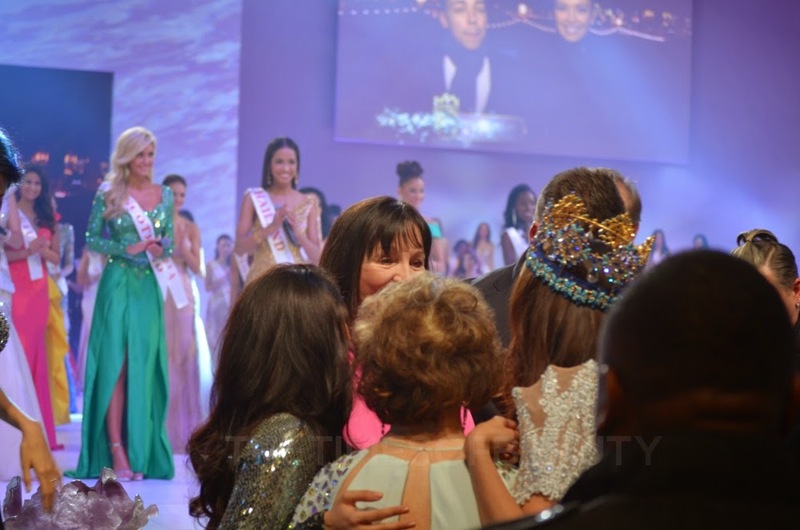 The Miss World dress rehearsal took place the day before the finals around 2:30pm GMT and lasted until 8:00pm GMT. The crowd at the rehearsal was made up of staff members and technicians working on the final details of the stage. What happened in the rehearsal is pretty much what you saw on the final night. The mock top three was Argentina, Kosovo and Trinidad and Tobago with Trinidad and Tobago being Miss World for rehearsal purposes. Sometimes, pageant fans think that organizing a pageant is something simple. Attending this rehearsal certainly reinforced my view that planning and organizing such an event is not an easy task, especially when you have a limited amount of time. The tribute for Julia Morley was kept under wraps. It was indeed a surprise during the final. At the rehearsal, I got the chance to see former Miss Worlds Aishwarya Rai, Agbani Darego, Azra Akin, Zilin Zhang, Kaiane Aldorino and Megan Young who took part in the rehearsal. The contestants had a good time and constantly cheered for each other, even though it was only for rehearsal purposes. After the rehearsal ended at 8:00pm, the contestants left for their hotel. The day of the grand finale finally arrived on December 14. The finale day is particularly special every year since it is the culmination of a year-long coverage of national preliminaries. This year, it was different since I was taking a break from watching it on a television screen. At 1:00PM GMT, the doors of the International Convention Center of the Exhibition and Convention Center London opened for the public. National directors, fans, friends, families, all in all people from all over the world started gathering in the venue proudly carrying their flags to support their delegates. It was a truly multicultural audience. Personally, it was the first time in my life where I’ve been with such an audience. It was eye-opening and certainly thrilling to be there. I was born in Puerto Rico and thereby I am an American citizen. Therefore, I was there supporting my sentimental favorites: Puerto Rico and United States. But I was hoping for South Africa to win since she was the contestant that impressed me the most throughout the Miss World festival. Philippines, Thailand and the United States brought the largest foreign contingencies to support their contestants. At 2:00PM GMT, the audience was asked to sit since the opening was going to be pre-recorded. Lights off, stage lights on, Sky Blu shows up on stage to sing “We Love Girls”. Then, the contestants started parading in their national costumes. The opening was modern, dynamic, lively and energetic. The audience was very engaged. This is what an opening should be like. I’ve not enjoyed a Miss World opening so much since 2002. The opening of Miss World 2011 would be the second best since 2002. After the opening act, Bolivia started her dance. It was time for the traditional Dances of the World. They moved it to the first act of the show and I thought it was a good idea. 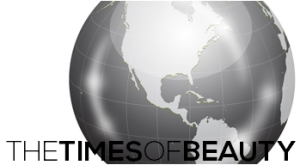 Bolivia, Finland, Kenya, Scotland and the United States debuted in Dances of the World. One notable error was the contestant from Slovakia dancing while the screen behind her showed Slovenia. This should not have happened. Watching the United States dance was special for me, not for sentimental reasons, but because I realized that there is a national organization that is finally taking all aspects of Miss World seriously. 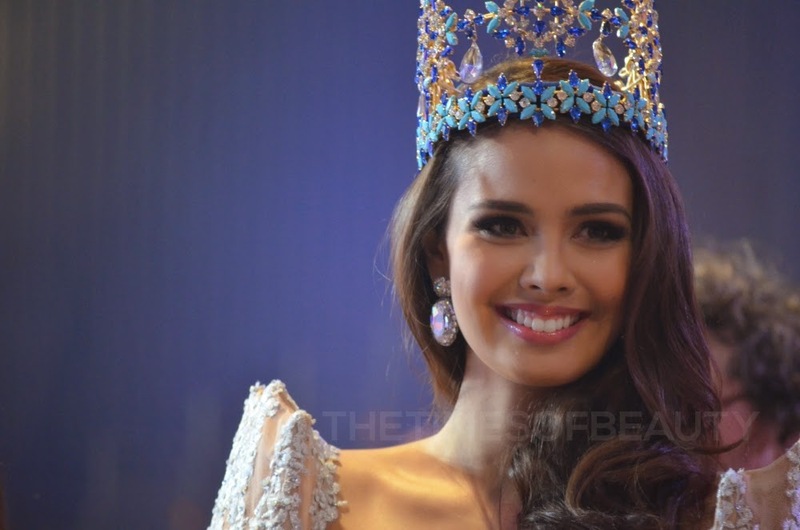 After the conclusion of Dances of the World, hosts Tim Vincent and Megan Young walked into the stage to say their first words to introduce the 64th Miss World pageant. The pre-recorded portion concluded afterwards. A couple of minutes passed and Steve Douglas informed the audience that the pageant was going live soon. Everyone returned to their seats waiting for everything to start at 3:00 PM GMT. After the pre-recorded portion was shown, it was time to introduce the 121 contestants vying for the world’s most coveted beauty title. Unlike from 2003-2007 and 2009-2013, the contestants were not introduced with the usual split second camera shot. This time, the contestants had a short walk when each one was introduced which I found excellent. I still don’t understand the point of presenting them randomly and not in alphabetical order. In 2012, they were presented randomly but last year they were presented in alphabetical order. The soundtrack of the contestants’ presentation was a good choice. It was regal and appropriate for the occasion. Although I still prefer the way the 2002 and 2008 contestants were presented, this year’s change was very positive. It gave a little more time for each contestant and it seemed there were no camera errors during the segment and every contestant was shown. After the contestants’ presentation, it was time to reveal the first leaderboard. It was the first crucial moment of the night. After the scores of the prejudging interviews were revealed by Steve, France was in the lead followed by South Sudan. I was pleasantly surprised to see Aruba, Guinea and Ukraine in the Top 20. The rest was pretty much expected. India, Guyana, and Mexico were some of the favorites that missed the Top 20 in interview. However, we know how important the challenge events are. They are optional but they can be the deal breaker for some of the contestants. This year is proof of that. 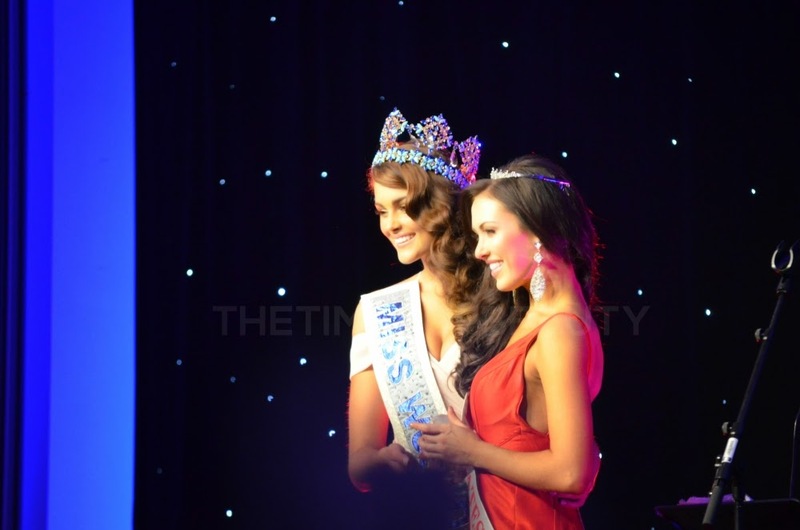 The first of the challenge events was Miss World Talent. I thought having the Top 2 battling it out at the final show was a nice idea and it should be kept that way in future editions. One thing that I’ve come to realize is that ever since Miss World Talent was established in 2001, in all but two years singers have won the talent competition. The exceptions are Ghana in 2007 and Sierra Leone in 2009 but Sierra Leone was a joint winner with Canada and Canada was a singer. 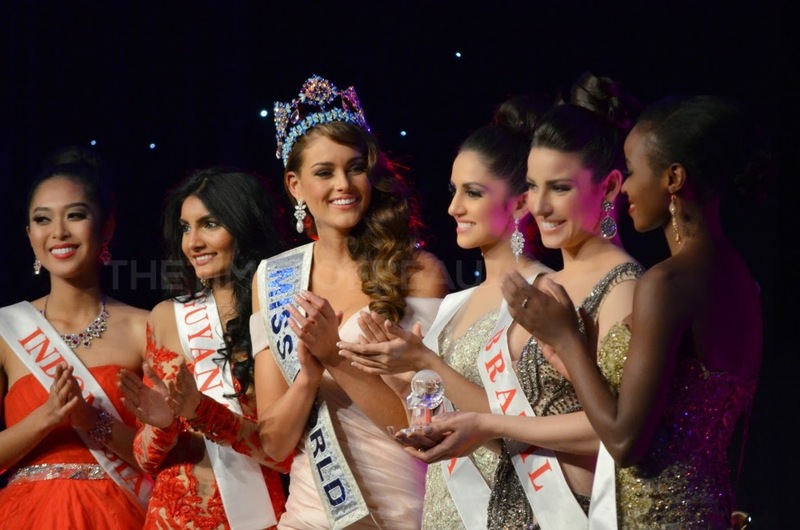 Following the talent challenge, Miss World Sports 2014 was named following a video showcasing the event. 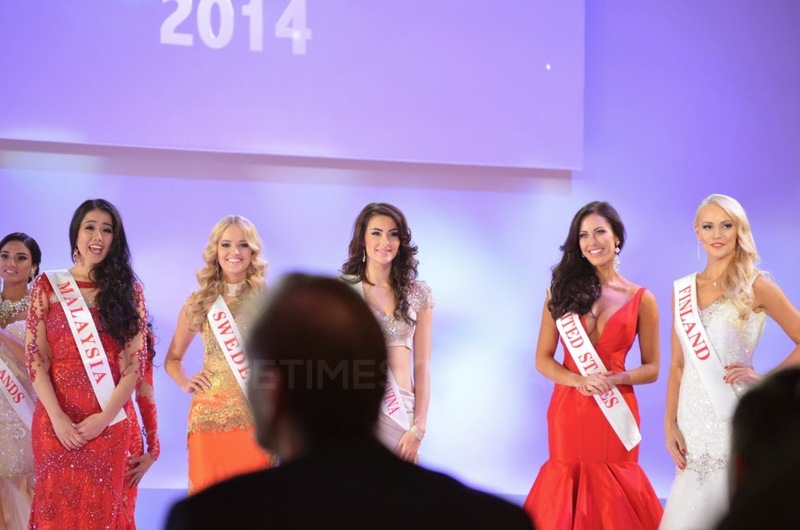 Then, Miss World Multimedia (United States), Top Model (Bosnia and Herzegovina) and Beach Fashion (Sweden) were revealed. However, none of them featured an introductory video of the events. I believe they should’ve shown highlights from each competition. The audience was most impressed with Malaysia when she performed and so were the judges since she was named Miss World Talent 2014. Remember when I said before that this year was proof of how crucial the challenge events are? After the scores were added, France left the Top 20 after finishing first place in prejudging and India jumped into the Top 4 despite not giving one of the 20 best interviews. People were baffled that France didn’t make the quarterfinals after being 1st in prejudging. The last of the challenge events was Beauty with a Purpose. Curiously, the Top 5 were the contestants whose videos were presented during the charity auction. The Top 5 were named joint winners since the judging panel could not choose one and therefore each one received the amount of points corresponding to the winner. What happened with the 6th best project? Did the contestant receive the amount of points corresponding to the second placer? This 5-way tie certainly worked wonders for some of the contestants but certainly sealed the fate of others that could have placed if the unexpected 5-way tie did not happen. Following the announcement, the projects from Kenya, Indonesia and Guyana were presented and not all five due to time constraints. In my opinion, a montage summarizing all five projects would’ve been more appropriate. The next part of the ceremony was the reveal of the Top 25. The inclusion of some contestants in the Top 25 was confusing, especially Vietnam and Ghana. There is the chance that, for example, Vietnam might have finished in the Top 10 of Beach Fashion, Top 15 of Beauty with a Purpose and Top 10 of Multimedia and that is why she accumulated enough points to place in the Top 25 despite not being part of the Top 20 in the prejudging portion. This is the reason I believe the organization should’ve released a Top 20 for each of the challenge events instead of a Top 5. Overall, the reveal of the challenge event winners and the Top 25 was suspenseful and quite dynamic as compared to previous years. Following the reveal of the Top 25, it was time for the performance by The Vamps. The contestants that did not make the Top 25 went out to participate in the performance similar to when McFly performed in Miss World 2008. It was a nice to see the contestants involved in the performance. Right after that, it was time for the homage to the iconic Aishwarya Rai, Miss World 1994. Watching her in person was amazing and she is really as gorgeous as in pictures. Then, it was time for Steve to reveal the Top 10 scores. The group was led by India. Minutes later, Thailand was revealed as the People’s Choice and grabbed a spot in the group of semifinalists. Following a commercial break, it was time to reveal the Top 5. This left the audience confused by how the group was narrowed down. Last year, the Top 10 walked one by one and also the year before. I believe this should have been done again this year. Maybe the Top 10 should’ve walked one by one as part of The Vamps’ performance before narrowing them down to five. I believe something needs to happen between the Top 10 and Top 5 like a quick fashion show. After the top five was revealed and videos of them were shown, the top five answered why they should be the next Miss World. What came next was perhaps the most emotive moment of the night, the homage to Julia Morley. Julia has been for me an inspirational person. I consider her the most iconic figure in pageantry. Her great efforts throughout the past decade have transformed this pageant into a celebrated event whose focus on charity is changing lives around the world. I’ve been in contact with Julia since 2004 and last month I had the chance of meeting her, Steve and the MWO staff in person for the first time in London. As a long-time fan and supporter of this pageant, you can imagine how thrilling it was for me to be there. Julia has an established direction for this pageant, it is charity, and it is Beauty with a Purpose. There is no room for women parading in swimsuits in front of an audience dressed up in formal wear. It’s contradictory to their views and what they stand for. There are hundreds of pageants out there with their own formats. It is absurd to see people trying to push Miss World to follow certain criteria or a certain format because another pageant does it that way. Just accept, instead, that they are different pageant systems, have different focuses and different views. Enjoy them for what they are and what they contribute to pageantry. I applaud Julia for making the decision of banning swimsuits from the pageant and I’m proud to see the overwhelming positive reception of this news in the media. Julia is exactly the person you see in interviews and during the telecast. She is passionate. She is driven. It’s fascinating to see. I left her office admiring her even more. The tribute on the final night was a nice gesture and it truly showcased Julia and her efforts. Julia was visibly moved by it. She deserved that tribute after all her hard work and dedication with Beauty with a Purpose and Miss World. Right after her tribute, Julia was on stage to announce the long awaited results. United States finished in third place and Hungary in second. South Africa’s Rolene Strauss was crowned Miss World 2014 in front of a supportive and cheerful audience happy for her deserved victory. My mind was with my dear friend Andre Sleigh from Eye for Beauty. He is South African and a Miss World supporter. I imagined he probably was in tears of joy to witness one of his own getting this coveted title for their country. The Miss World crowning is iconic and regal. That is one of the things that should never change. After the crowning, the contestants sang Light the Passion, Share the Dream and Sky Blu closed the show by singing Party Rock. After the show concluded, I met Nicklas Pedersen, Mister World 2014, thanks to Lisa Lents -national director of Denmark- who introduced him to me. He remembered when I interviewed him before Mister World 2014. He has a nice personality and is very eloquent. He is quite humble too. Those qualities definitely helped him to get the title. Overall, I think the show was a good one. It greatly improved compared to last year. It could be compared to the 2011 edition which I truly enjoyed. Although the stage was not as grand as 2012 and certainly not like the 2010 one, it was a good stage. It reminded me of the 2002 stage with the circular front. I especially enjoyed the most that the contestants had a little bit more time on stage rather than the split-second camera shots. The show felt more dynamic and lively which was really positive. Rolene is certainly one of the most beautiful Miss Worlds ever crowned and will continue the streak of really outstanding winners. Congratulations to Hungary for their highest Miss World placement. The Hungarian national preliminary used to select the Miss Universe representative in the ceremony but that was stopped this year and the national final was just for Miss World. United States really deserves a shout out. Chris Wilmer took the lead this year and sent a well-prepared contestant that proved to be well-rounded, came ready and shined throughout the competition. This certainly proves that Wilmer is truly taking his job seriously as Miss World national director for the United States. I am really looking forward to the events leading up to the crowning of Miss World America next year. One hour later, the coronation ball was scheduled to begin at the ExCeL London. People started to gather in front of the ballroom waiting for the doors to open. There, I had the chance of meeting Wilnelia Merced, Miss World 1975. She was disappointed because Puerto Rico missed the quarter-finals but was happy with Rolene’s victory. She looked magnificent. The coronation ball consisted of a three-course meal and the presentation of the challenge event winners and the continental queens of beauty. Steve was the emcee while Rolene handed out all the prizes to the winners. When Guyana was presented as Miss World Caribbean, it was said that Miss World traditionally has placed Guyana in the Caribbean. However, in Miss World 2005 and 2006 Guyana competed for Miss World Americas. Why the change? 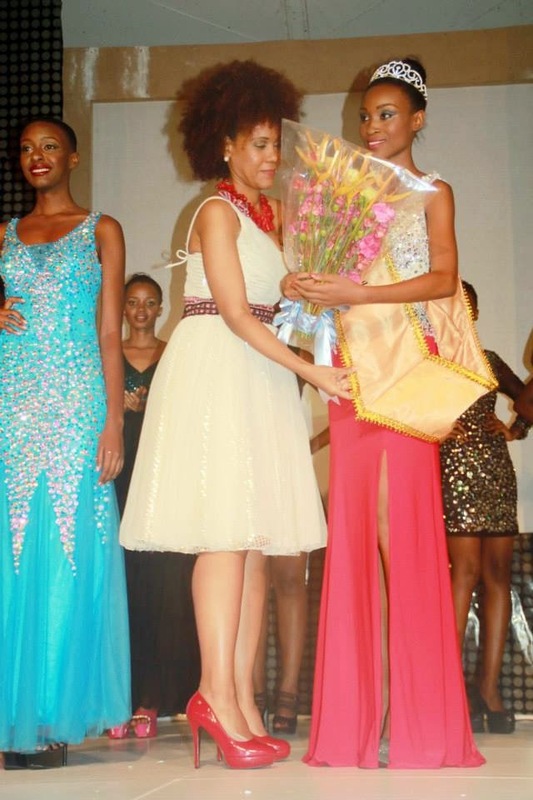 It’s not the first time that there is some confusion regarding Miss World Caribbean. 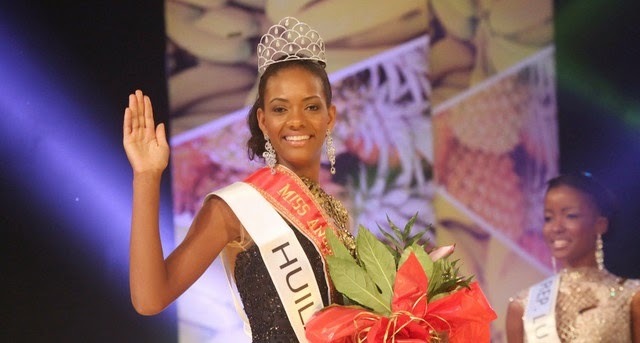 In Miss World 2009, Barbados was named Miss World Caribbean and she didn’t place in the semifinals. The Caribbean island of Martinique placed in the semifinals and she wasn’t named Miss World Caribbean that year. No reasons were given. Maybe in the Miss World official website each contestant profile should have the continental group the nation is assigned in. I suppose that the argument of Guyana being in the Caribbean should also apply to Suriname since both are CARICOM (Caribbean Community) nations. The coronation ball was great. The contestants enjoyed themselves with family and friends. I got the chance to chat to Rolene. She was so happy yet so calm and serene. She was taking pictures with everyone at the venue. She’ll make South Africa proud as the new Miss World. 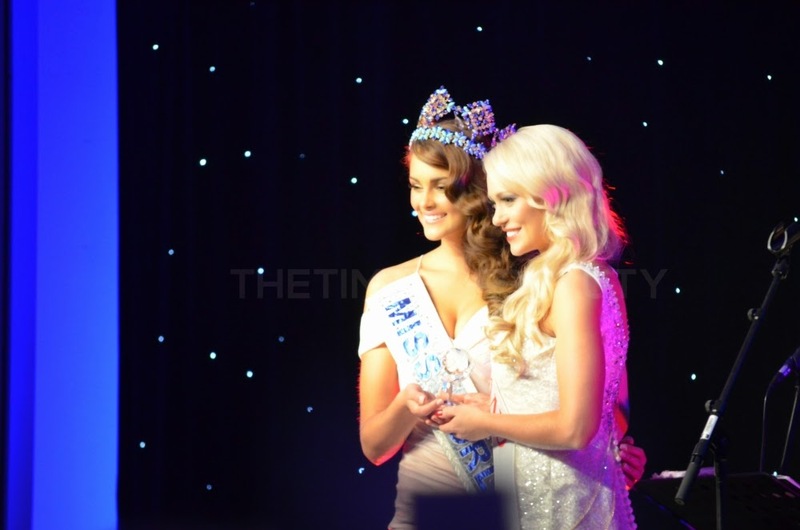 Congratulations to Melinda Bam and Werner Wessels for their impeccable job preparing Rolene for Miss World. It was a great weekend. Spending time with long-time friends, national directors, contestants, the Miss World staff, Steve and Julia was the highlight of the weekend. Watching the show live is certainly a different experience that I recommend to any Miss World fan to experience at least once. To Julia, Steve and the Miss World Organization: keep changing lives like you currently do, keep reaching out to those in need, keep exemplifying that beauty pageants can have a deeper meaning and keep looking for beauty in ways that transcends what we see. You’re the pioneers of international pageantry and I am honored to be your fan and supporter. Thank you all for your hospitality during my stay in London. Congratulations Rolene and South Africa. May your reign be full of amazing experiences. 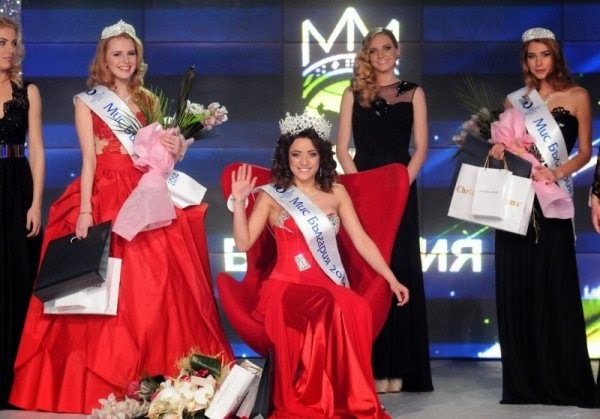 SOFIA, Bulgaria - Simona Evgenieva (19) was crowned Miss Bulgaria 2014 at the Paradise Center in Sofia on December 21. She will represent Bulgaria in Miss World 2015. Dani Dimitrova and Mariya Tsvetanova finished in second and third place, respectively. Ziphozakhe Zokufa (22) succeeded Rolene Strauss as the new Miss South Africa 2014 after Strauss won the Miss World 2014 crown on December 14. 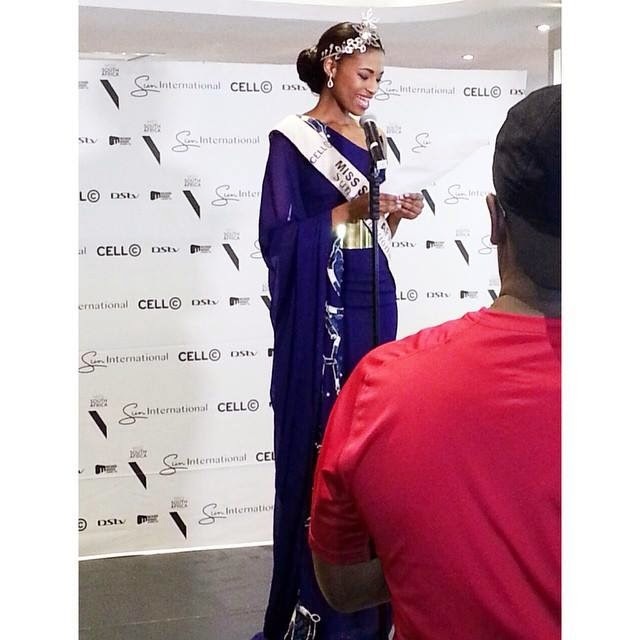 Zofuka will represent South Africa in Miss Universe 2014 in Miami, Florida on January 25, 2015. LONDON, England, United Kingdom - Rolene Strauss (22; 1.78m; Volksrust, SOUTH AFRICA) was crowned Miss World 2014 at the conclusion of the 64th Miss World finals held at the International Convention Center "ICC London" of the Exhibition and Convention Center London "ExCeL London" in London, England, United Kingdom on December 14. Edina Kulcsár (Hungary) was the first runner-up and Elizabeth Safrit (United States) was the second runner-up. Courtney Thorpe (Australia) and Carina Bernadette Tyrell (England) completed the top five. Júlia Weissheimer Werlang Gama (Brazil), Rafieya Asieya Husain (Guyana), Koyal Rana (India), Idah Nguma (Kenya), Daniela Álvarez Reyes (Mexico) and Maeya Nonthawan Thongleng (Thailand) were the top eleven semifinalists. Thailand advanced to the top eleven via the Miss World People's Choice popular vote. Neidy Andrea Fórfori Aguilera (Bolivia), Du Yang (China), Dhío Moreno Romero (Dominican Republic), Krista Haapalainen (Finland), Nadia Naa Densua Ntanu (Ghana), Maria Asteria Sastrayu Rahajeng (Indonesia), Dewi Liana Seriestha (Malaysia), Tatjana Maul (Netherlands), Valerie Clacio Weigmann (Philippines), Anastasia Kostenko (Russia), Ellie McKeating (Scotland), Awien Bol Kuanyin Agoth (South Sudan), Olivia Asplund (Sweden), Sarah Jane Waddell (Trinidad and Tobago) and Nguyễn Thị Loan (Vietnam) completed the top 26 quarter-finalists. Miss World Americas 2014 is Elizabeth Safrit (United States), Miss World Caribbean 2014 is Rafieya Asieya Husain (Guyana), Miss World Africa 2014 is Rolene Strauss (South Africa), Miss World Europe 2014 is Edina Kulcsár (Hungary), Miss World Oceania 2014 is Courtney Thorpe (Australia) and Miss World Asia 2014 is Koyal Rana (India). Miss World Beach Fashion 2014 was Olivia Asplund (Sweden), Miss World Top Model 2014 was Isidora Borovčanin (Bosnia and Herzegovina), Miss World Talent 2014 was Dewi Liana Seriestha (Malaysia), Miss World Multimedia 2014 was Elizabeth Safrit (United States) and Miss World People's Choice 2014 was Maeya Nonthawan Thongleng (Thailand). 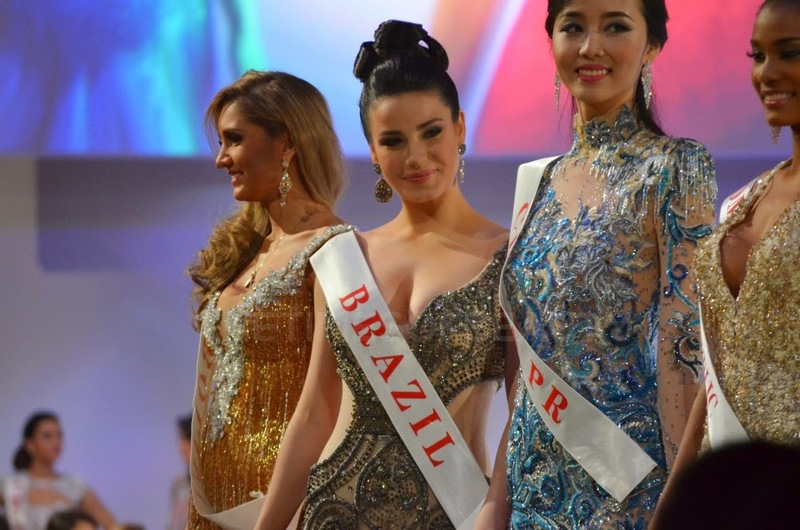 The five Miss World Beauty with a Purpose 2014 winners were Júlia Weissheimer Werlang Gama (Brazil), Rafieya Asieya Husain (Guyana), Koyal Rana (India), Maria Asteria Sastrayu Rahajeng (Indonesia) and Idah Nguma (Kenya). In the pre-judging portion or preliminary competition held before the finals, France finished in first place with 161 points and South Sudan finished second with 159 points. Brazil, Hungary, Kenya and South Africa tied for third place with 158 points. Australia, China, Haiti and Scotland tied for fourth place with 156 points. England, Ghana, Guinea and Puerto Rico tied for fifth place with 155 points. Dominican Republic, Trinidad and Tobago, Turkey, Ukraine and United States tied for sixth place with 153 points. Aruba finished in seventh place with 152 points. 121 nations competed for the crown. Chad and São Tomé and Príncipe were the debuting nations. The returning nations were Myanmar (1960), Luxembourg (2010), Egypt (2011), Israel (2012), Uruguay (2012) and Zimbabwe (2012). The nations that competed in 2013 but not in 2014 were Angola, Botswana, Bulgaria, Chile, Dominica, Guinea-Bissau, Kazakhstan, Macedonia, Saint Kitts and Nevis, Samoa, Taiwan, Uzbekistan and Zambia.